Skechers Polo Shirt 2-Pack Just $29.99! Down From $100! Shipped! 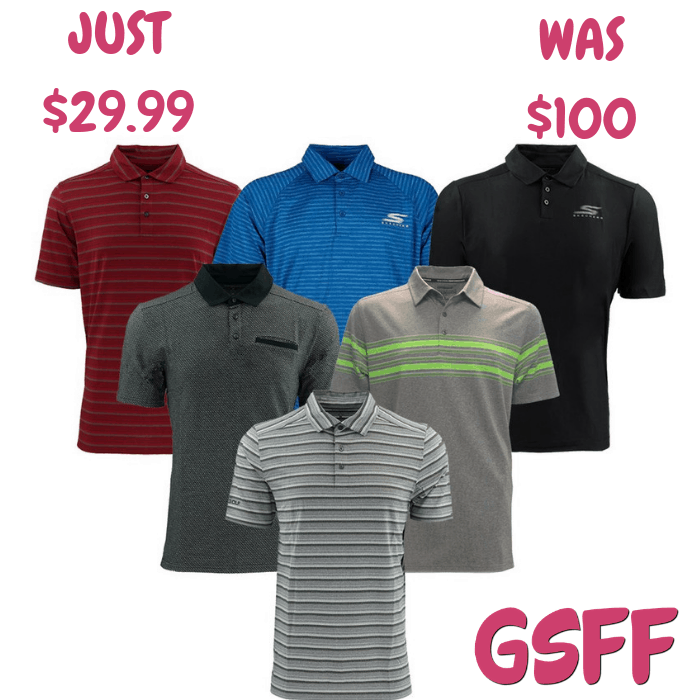 You are here: Home / Great Deals / Skechers Polo Shirt 2-Pack Just $29.99! Down From $100! Shipped! Right now at Proozy, you can score this Skechers Polo Shirt 2-Pack for just $29.99 down from $100 PLUS FREE shipping! The highest quality polo shirts Skechers provides! Purchase a 2-pack of mystery polo shirts for yourself, a family member, or even a friend. Two shirts for the price of one! Styles may include GOGOLF Approach Stripe, GOGOLF Club Face Stripe, GOGOLF Pitch Jacquard, and many more!